A little #manimonday to start the week. I did this polish for a young ladies Homecoming dance!!!! 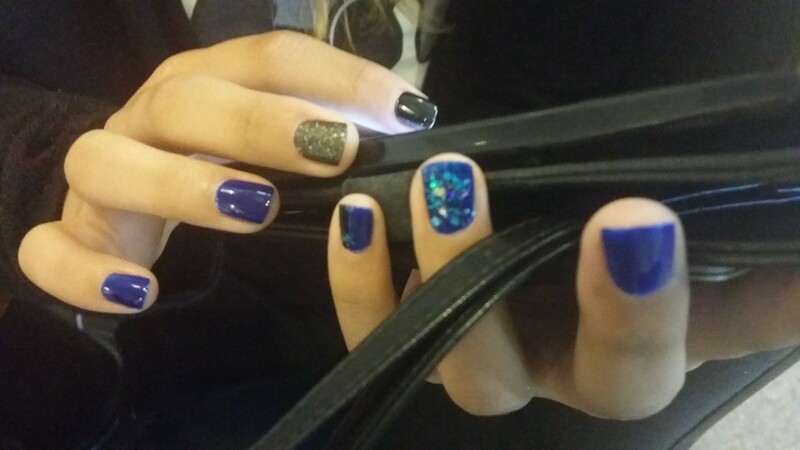 A little royal blue polish, black polish, textured black polish with matte top coat and some added glitter for accents!